On Oct. 12, an upstart Latin coffeehouse jazz band, Mechudos y Peludos, put on a concert together at downtown Goshen’s Blank Space, a customizable venue for all kinds of events. GC students may recognize sophomores Lisa Rosado and Lucia Martinez, vocalists, and Simon Hurst, guitarist, from their performance at GC’s Kick-Off – but there’s more to this group’s story. The band had its first official performance at 2017’s Hispanic Heritage Month convocation. “We wanted to keep performing together in other activities,” said Rosado. During the rest of the academic year, the group continued to perform at several on-campus events, including GC’s Stoltzfest during inauguration weekend, International Student Coffeehouse and several of GC’s open mic events. The group returned to GC for the 2018-19 academic year, enthusiastic to expand their performance portfolio. Since August, Mechudos y Peludos has found their niche, and with that has come more performances both on and off campus. “We look forward for more opportunities like these to show who we are with our music and wild hair,” said Rosado. The band’s growing popularity was on display when they drew a packed house for their Oct. 12 Acoustic Night concert at Blank Space. The trio served as headliners for the event that opened with student groups Garden House and Harry and the Rattlings. Mechudos y Peludos is lucky enough to have their very own manager, Hannah Hostetter, a fifth-year history major at GC. “I worked with Simon and Lucia all summer and kept hearing about their band,” said Hostetter. She had enjoyed their Coffee House performance and had kept up with the band’s song releases on Instagram. “[I realized that] I would have a pretty empty semester, and I love organizing and doing business things,” she said. Hostetter began work as the group’s manager at the end of the summer, and it wasn’t long before she had secured the group’s first gig for 2018-19 — GC’s annual ice cream social in August. Rosado said that Hostetter has been very influential in increasing the band’s popularity. “I asked Simon to help get two other bands to open and asked everyone to help with advertising,” she said. Luckily, the group’s rising name amongst the local music scene enabled Acoustic Night to be a hit for both Goshen College students and local music fans alike. The group recently performed at other local venues, including the Gateway Cellar Winery. Additionally, they’ve recorded original pieces and covers that fans can listen to on their SoundCloud. 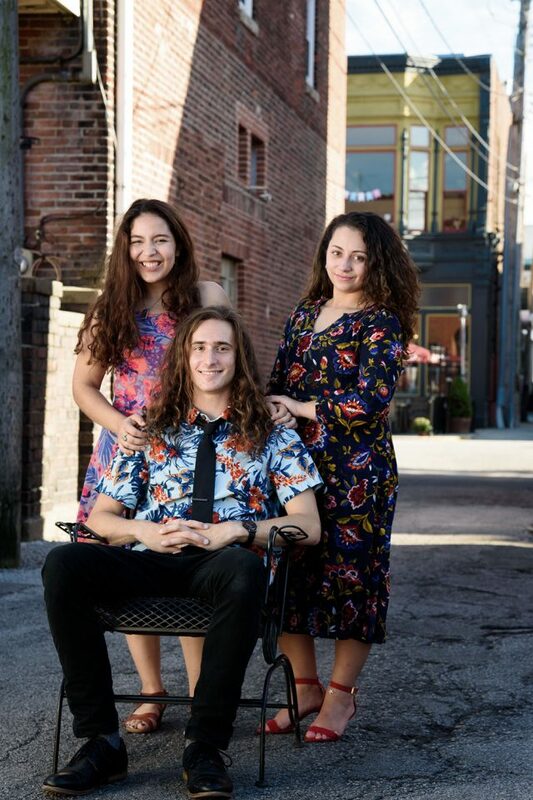 “We look forward to presenting ourselves as the Latin Coffeehouse group from Goshen College who have curly, wild hair and diverse cultural boundaries that can be shared with those who enjoy listening to our music,” said Rosado.